My whole life I have been inspired by Old Hollywood Glamour. Impossibly strong, elegant woman in control of who they are and what they look like. 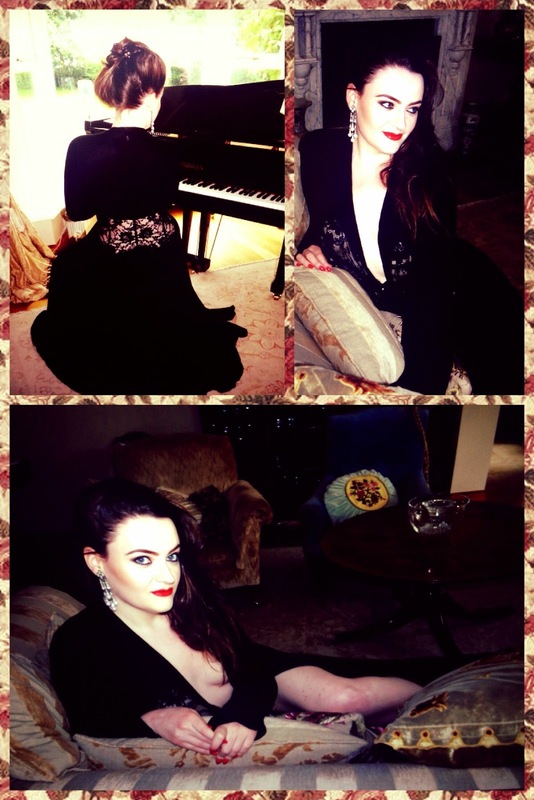 I found it impossible to emulate my idols, why was it I found myself wrapped in a bulky fluffy gown and not a slinky little number whilst getting ready for a night out?. I was unable to source 'lounge wear' that was of a high quality and in any way affordable. I wanted to feel glamorous but I was failing, miserably. One night, browsing the Internet I stumbled across Betty Blue’s Loungerie- Website HERE. I was giddy with excitement browsing through the beautiful robes, teddys, nightgowns and slips. The wonderful Betty Hobcraft designed Betty Blue’s Loungerie for people like me- women who like to dress up even when they’re dressing down!. 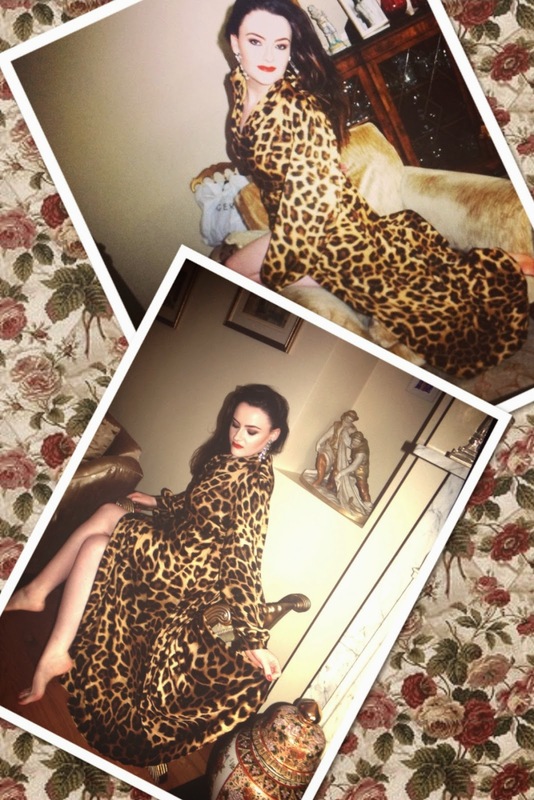 I purchased the original Nell Robe and soon after that the rather gorgeous Bettie Robe, as you can see I just casually lounge around the house. Betty Blue’s is a brand I love and lust after. The Nell range stops my heart, Mainly the teddy and dress slip, I wont stop till I own it!. So with that little back history, it excites me greatly to announce that Betty Hobcraft is extending into bridal lingerie with a sister brand, Betty Bridal! Betty Bridal will premiere in September with their 2014 Autumn/Winter collection. Transforming the best of Betty Blue’s Loungerie, the bridal collection will include the most sought after designs in delicate white and ivory silks and satins perfect for the wedding and honeymoon. Betty Bridal will bring out the inner Hollywood starlet of any bride, though in my humble opinion you don't need to be jetting off on honeymoon to want to wear the stunning designs, I am a great lover of Ivory silk so it is inevitable Katie makes a purchase! Here's a little taster of things to come, I am showing you the Nell Bridal range and the Bettie Bridal Robe. What do you think? Would you like to feel like a siren walking about the house? Oh and do not get me wrong, Betty’s a practical lady, there are warm, snugly items to be purchased such as the Lucille Robe, Fluffy and glamorous. Thank you for bringing my dreams to reality, I wear your designs with love and pride! Beautiful but no way I could afford it! i love the balck one!